Barton Industrial Services Ltd provides a range of fall protection and lifting solutions and products suitable for use within the harsh environments of the oil and gas industry. Our own highly trained technicians and our technical department carry out specialist design and work off-shore and on-shore in Ireland, Great Britain and Europe. 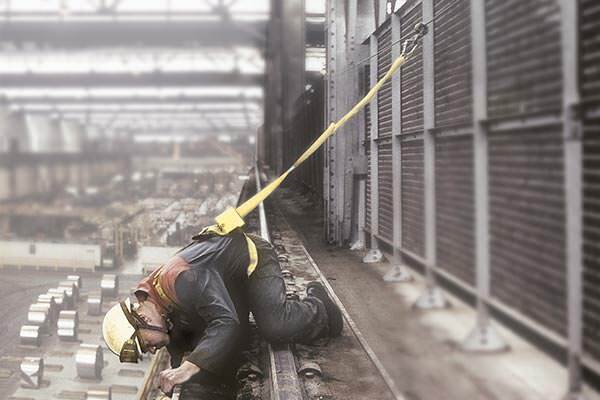 Horizontal, vertical and overhead fall protection systems. Self - retractable lifelines (Inertia reels). Drilling rig rescue & escape devices & PPE. Bespoke and off the shelf lifting gear. Barton’s vertical, horizontal and overhead cable fall protection systems can be designed to follow the often complex contours found on rigs, pipe racks, flare stacks, derrick ladders and gantries and have proven reliability in even the harshest climatic and environmental conditions. The quality materials used in the componentry of Bartons’ products are proven durable and reliable in even the worst climatic and environmental conditions, both onshore and offshore. Barton’s design department was delighted to bring to its client EnerMech Ltd a bespoke, reliable and innovative solution regarding safe access to the flare deck of the Judy platform. 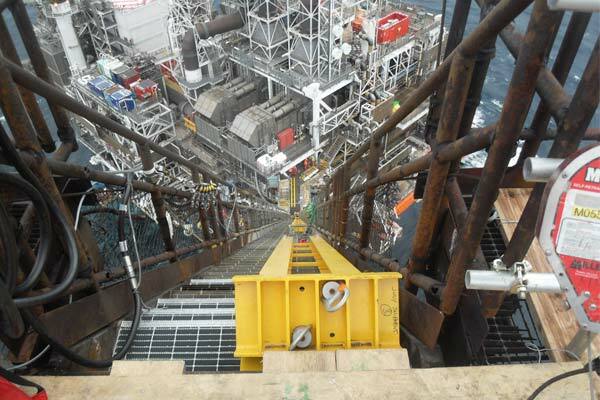 Working in harsh conditions at sea, our team of highly trained technicians installed 60 metres of Latchways BridgeLatch fall protection systems to the handrails of the flare deck access stairs. Equipped with a BridgeLach travelling device, our client’s maintenance engineers were able to walk up to the deck safely and unhindered. The BridgeLatch unit rotates freely through the intermediate cable guides to give the user continuous hands-free protection. In the event of a fall, the BridgeLatch unit locks onto the cable and arrests the fall. It can be used on an incline of up to 70°. All Latchways components are independently tested and are now ATEX rated for use in explosive environments. Barton supplies the unique ManSafe SRL range of products. The major benefit is complete field serviceability reducing product downtime and ownership costs. On-site (on- and offshore) servicing and maintenance by the client. Speedy replacement of cable and hook assembly and Latchways Constant Force load absorber. 100% reliable locking mechanism, which needs only a visual, audible and tactile inspection on an annual basis. 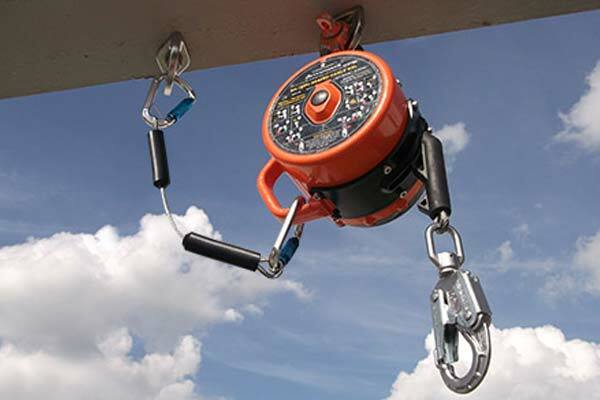 The ManSafe Sealed SRL block provides the perfect fall protection solution for use in and around drilling platforms such as on the derrick or rig crown and ideally for all offshore work. It holds an ATEX rating as well as IP69k rating—ensuring individual internal components are dust tight as well as making it suitable for high pressure, high temperature wash down operations. Its toughened case withstands harsh environments. Barton supplies and services all makes and types of PPE and rescue/escape devices. 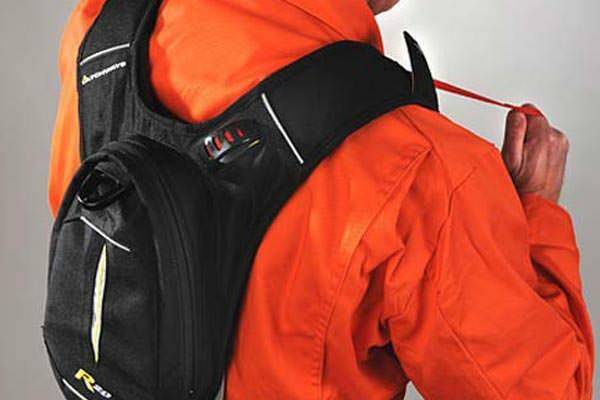 The Latchways Personal Rescue Device is an integrated harness system allowing self-rescue. In the event of a fall the PRD harness suspends the user and then allows them to gently lower themselves to the ground in a controlled descent. The device features a 20 m (65 ft) spool of Aramid rope (UHMwPE rope with Aramid overbraid) which is released at a controlled rate through an integral braking mechanism.